MJ League Cup & Spec Cup Brackets 2018 Spectator Cup is finished. For information on the 2019 Spectator Cup please watch here. Information will be posted as it becomes available. Tentative Team Placements Click on the following link to access all League Grassroot and Youth age groups to see which teams/squads have been officially registered by the league. Team Entry Form Use this module to access the new Team entry form for 2019 outdoor season. You can complete multiple team entry forms. Please see the FAQ sheets below for the Grass-root squads and Youth Teams. For 2019 certain age division in the Youth category will be splitting into two separate schedules based on standings from the first part of the league schedule. 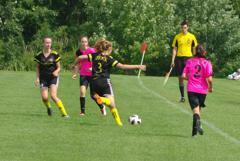 The divisions that will split are Boys U13, U14, U15 - Girls U13, U15. Click on the following link League Cup to view League Cup Champions and Finalist team photos. There are also play action shots. You can use these modules to download any of the photos taken at Tim Hortons Field on League Cup Day. Team photos and action shots. In these high levels of heat and humidity, we recommend that coaches of both teams and the referee(s) speak pre-game to determine how many water breaks you will provide during the game - and if more that agreed up on are needed, then please remember that the safety of the players, and the officials is our main concern. Stay hydrated. Making Headway in Soccer Concussion Course: The Technical Advisory Committee has approved the notion to make it mandatory for all coaches in all District Competitive Leagues and higher to have completed the required LTPD specific courses with respects to the age groups they are coaching in, effective April 2017. The Technical Advisory Committee has approved the motion to make it mandatory for all coaches in all District Competitive Leagues and higher to have completed the required LTPD specific courses with respects to the age groups they are coaching in effective April 2017. Coaches will also be required to complete the online module ‘Making Head Way in Soccer Concussion Course’ provided by the National Coaching Certificate Program (NCCP). This online module can be found on the NCCP website and will require 60-90 minutes to complete. Previous community courses from the old system (Child, Youth & Senior) will not be recognized due to changes implemented in the new development system. The league is more commonly referred to as the "MJ" league. 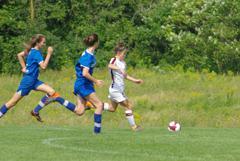 The league supports Grassroot Programs from ages 8 - 12 and Youth District competitive teams from 13 - 18. 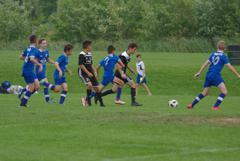 There are over 200 plus teams in the league from Hamilton and surrounding areas as well as teams from Niagara and Peel Halton. The League is located in Hamilton Ontario, Canada. For Monday, September 10/18 the following MJ games are postponed due to field closures: 16414, 13178, 14345, 14346, 15143, 15393. For Wednesday, September 5/18 MJ game 14361 Mt. Hamilton vs. Paris has been moved to Mohawk 4. Same time. For Tuesday, September 4/18 MJ game 13171 West Hamilton vs. FDSC White at Churchill North has been cancelled. For Wednesday, August 29/18 MJ game 13170 Paris vs. West Hamilton at Green Lane 1 has been cancelled. For Tuesday, August 21/18, MJ games at Hillfield Strathallan 1 and 2 are cancelled due to field closures. Known as the "MJ League"